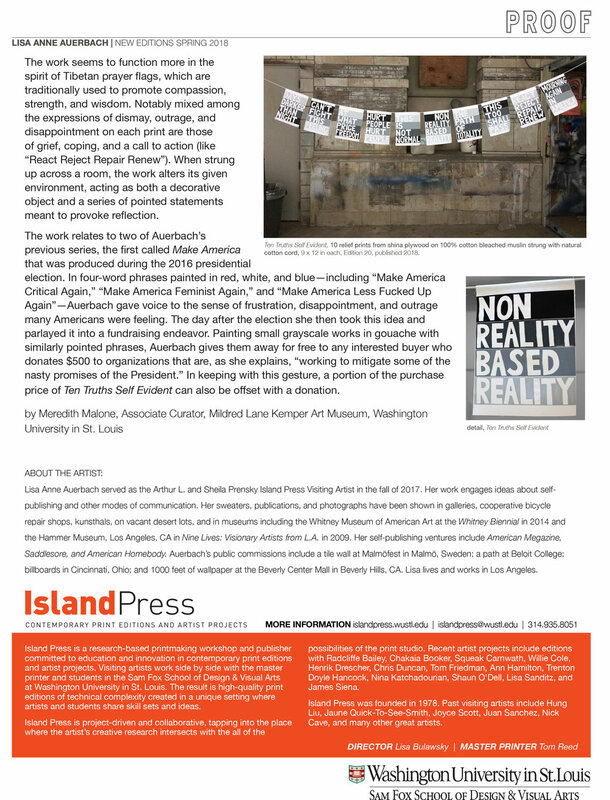 In 2017, I was invited to do a project with Island Press at Washington University. 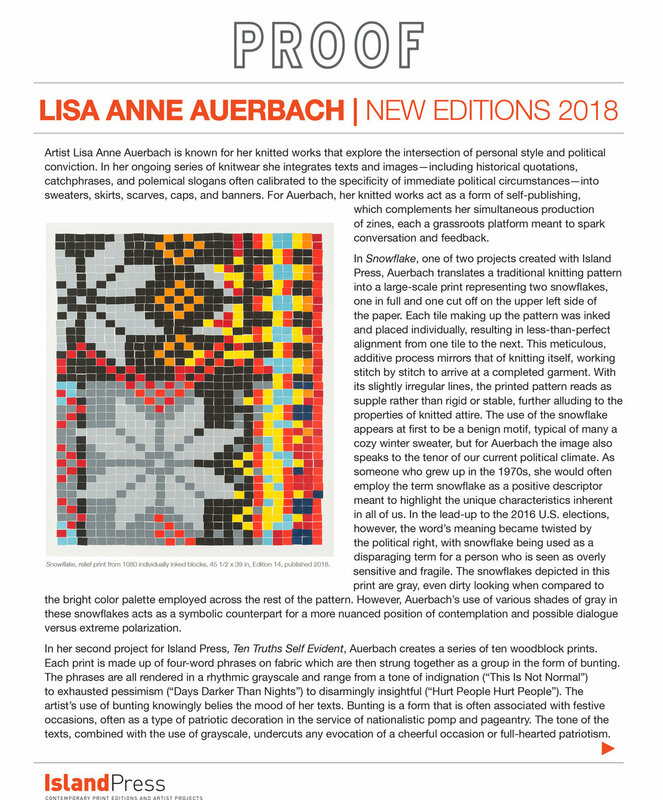 I worked with Tom Reed and Lisa Bulawsky and we had a really fun time imaging how my work might be re-imagined through printmaking. 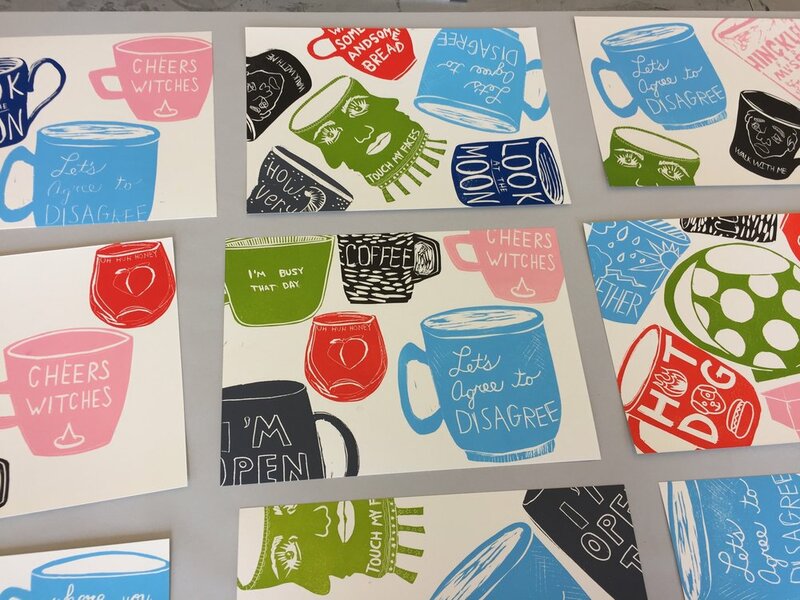 In the end, we made three things- a string of woodcuts based on text paintings I’d made, a print of a snowflake made of 1080 individual plates, each separately inked and laid down on the press, and a collaborative print of cups carved by us and students in a printmaking class. Below are some images from the process, as well as the finished works.